Feeling a bit bleurgh about blogging…. I have been blogging since January and up until recently I have loved it. I have never been short of ideas, posts have tripped off my fingers and I have always been able to say what I want to say without tying myself up in knots. But not anymore. Right now I am feeling a bit bleurgh about blogging. 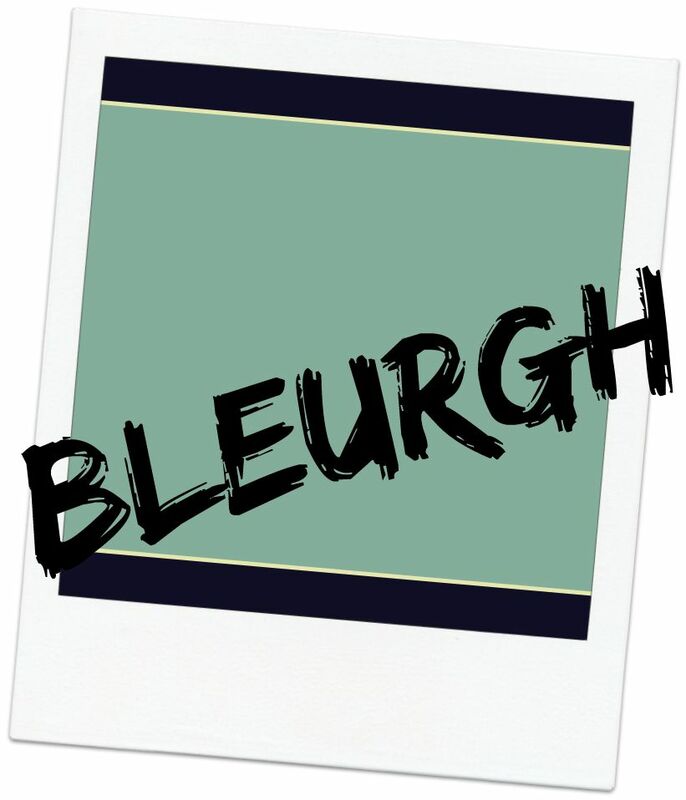 What do I mean by feeling bleurgh? Well, I have lost inspiration. Not that I don’t have lots of ideas – I do, I have lists of them and keep adding to that list. But for some reason none of them grab me right now. And when I run through that list, I end up feeling even more bleurgh. Thoughts run through my head – why would anyone want to know about this? I think someone else has written about this already. Everyone else writes so much better than I do. No-one is interested. Now there could be a few reasons for this bleurghness. I have been fairly distracted this summer, moving from the UK to South Africa. I was lucky enough to have a whole league of brilliant guest bloggers who ensured my blog wasn’t just tumbleweed and crickets during the days when I was packing, moving, goodbying, flying, unpacking, settling….But brilliant and brilliantly helpful as this was, it did mean that I got out of the habit of frequent blogging. And as all writers know, writing is like any sport – you need to use your muscles in order to keep up to speed. Let them get flabby and you need to get fit again before the words start to flow. I know I need to get back into the writing habit, which means I need to start having more of a routine. I think this is probably the biggest problem. When we were at home in the UK, life had a rythm. I knew what happened when at each point of the day, I knew when I had my writing/blogging time and I knew when I didn’t. Here, I am still a bit all over the place (just things like shopping for food takes so much longer as I just don’t know where to find everything – so I can find myself going out to various supermarkets several times a week) and thus my spare “writing” time doesn’t always conincide with the time when I feel most able to write. At least, to write coherently. I am also finding my concentration is shot, I get distracted by the smallest things (look a new bird! Oh, I need to look up that new German bakery someone recommended), and I am not using my spare time wisely. But I know I need to get back on top of things. Next month is a new month and I am planning to start being a little more organised with my time. I want to get back into routine, start working on some of the ideas I have, go back to some of my old “occasional” series’ like Memorable Journey’s and Interesting Expats, and perhaps start some new ones. Somehow I need to get my blogging ooomph back, I need to get those words to flow again. I don’t know how to do it, hopefully it will happen naturally the more back into practise I get. Brigid Keenan thinks my book is amazing! Having a bit of a serious fandom moment here – one of my favourite authors and the writer of one of the best ever books about expat life, Brigid Keenan, loves my book! In fact her exact words were: “I wish I could have had the book in my hands when I first became an expat wife…I think the book is amazing, so full of information”. This is serious praise for me because Brigid wrote what I consider the first “go-to” books for expat partners, Diplomatic Baggage, and it’s follow-up Packing Up (which has just come out in paperback, for all of you fellow-fans out there). 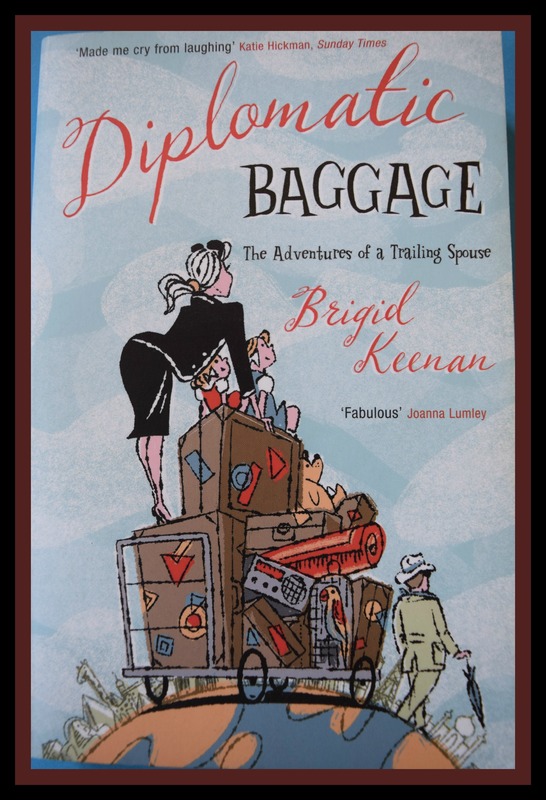 I reviewed Diplomatic Baggage as part of Review Wednesday a few weeks ago, my first review for that series (which will continue next week once I have recovered from my joy over Brigid’s praise). The reason I chose it as the first book to review was because I think she encapsulates life as a “trailing spouse” so beautifully in her words, reminding us all that whatever we are going through, we’re not the first to go through it and we certainly won’t be the last. And we are never alone. My mother met Brigid around the time I was writing the last few chapters of the Survival Guide, and told her about the book. Brigid generously asked to see a copy. I sent it off and didn’t hear anything back….which is never what you want. What if she hated it but was too polite to say? In the end, I bit the bullet and pinged her a short email asking if she had recieved it. She immediately emailed back full of apologies, thinking she had already responded (she is apparently very busy with her Palestine Literature Festival) and telling me she thought the book was amazing. Well, that, to me, is amazing – thank you Brigid! One of the things that I have been finding hard about marketing the Survival Guide is working out how to reach my market. I am not sure this is a precise science, probably more of an art, and I am in the middle of experimenting with all sorts of different ways to do it. I was therefore really pleased when I was approached by Susan Toy or Reading Recommendations, a site dedicated to promoting both independently and traditionally published books. In a weird twist of fate, while Susan was sending me an email to ask if I would like to be featured on her site, I was sending her one asking whether she would like to be on this one, talking about her life on the island of Bequia for my People who Live in Small Places series. We both said yes, and today I feature on her website. Look out for her post on this site at a later date. I really love the idea of sites like Reading Recommendations. Unless you’re very lucky to have been published by one of the Big 5, with all their promotional might behind them (and even then, it’s not always a given that you will get unlimited publicity for your book), marketing and promotion is one of the toughest aspects of publishing. There are many ways to do it, as I mentioned above, but it is SO time-consuming. When I was at the start of this process, someone mentioned to me that a friend of theirs who had recently published a book described marketing as a full-time job, for at least six months. Well, sadly, I don’t have that sort of time available to me as I already have a job, plus a family, so can only do so much. So thank-you Susan for featuring me, and thank you to anyone who helps to promote me. Don’t forget, if you have read the Survival Guide and have enjoyed it. then please leave a review on Amazon or spread the word in any way that you can. And in the meantime, please go here to read my piece on Reading Recommendations. Me on the BBC Radio and more news…. I was interviewed yesterday morning on our local BBC radio station, and talked about why I wrote the book, my background as a Third Culture Kid (TCK) and gave some advice for anyone planning a move overseas. What a lovely experience – the presenter was a joy to work with, very friendly and it felt like we were just having a chat down the pub. I went into the studios for the interview, which is something I have never done before so it was quite the experience for me! Please listen below if you get a chance and let me know what you think. And finally – I am very honoured to have been named as a “Top 10 Expat Blogger” on the Medibroker’s website – http://www.medibroker.com/blog/2015/april/10-best-expat-blogs/, which is very kind of them! Have a lovely Tuesday everyone. 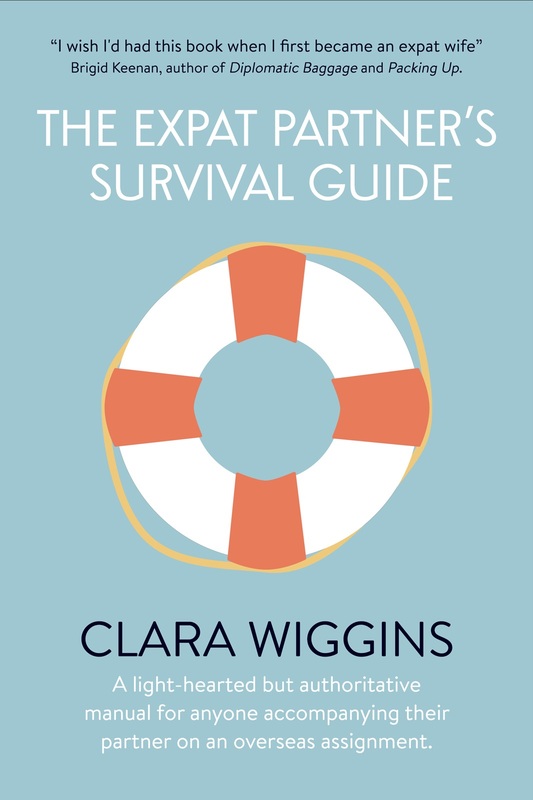 So anyway back to the task in hand: The A-Z of how I produced the Expat Partner’s Survival Guide. A is for Amazon. Love it or hate it, it’s what it is. The only best way to sell your books unless you happen to get a deal with one of the big publishers who will place you into stores like Waterstones and WH Smith. Which to be honest is not that likely these days. I am currently struggling to pursuade Amazon to take the Survival Guide OUT of the photography section and put it IN to the living abroad section – honestly, you would think they didn’t want to take quite a large proportion of my profits by selling my books…..I think it will be a love/hate relationship between me and Amazon. B is for Bubblecow, which is the company I used to edit my book. I really enjoyed working with them and Gary, my editor, gave me some fantastic feedback. He really helped turn it into a proper guide, it’s amazing what a new pair of eyes will see. D is for Design for Writers. These were the people who designed my book cover and I can’t recommend them highly enough! I want to write a separate blog post at some point about the process I went through with them (and I will be doing an interview for their site) so I won’t go on too much. But it was like magic, how they knew what I wanted even before I did. I absolutely love my final cover design. F is for Facebook. Just like Amazon, Facebook is one of those organisations that you have to work with in this game, even if you don’t like it. Personally I do like Facebook – but from a “business” point of view it’s become very tricky. It used to be you put your information on FB, people liked your page and then they saw your posts. Now, the algorithms have changed and they will only see your posts if they have recently liked your page (or something). So you need to pay to boost your post. Which is okay as far as it goes, but don’t try and pay for an ad as you’ll end up with people on click farms liking you (even if you are not the one paying the clickers – they also click on random sites to try and disguise the places they are being paid to like) – and if you want to know what a click farm is I suggest you read this. G is for grit. And determination. Had you asked me two or three years ago whether I would ever get this damn book finished, I wouldn’t have been too sure. But I reached a certain stage where I had told enough people about it that I was too embarrassed not to carry on. There were times, lots and lots of times, where I felt like giving up as I just didn’t feel like I was getting anywhere. But inevitably there would be a break-through of one sort of another and I would carry on. Encouragement also helped. If you have any writer friends do tell them to keep going and that they are doing a great job. Just like what I used to tell dads to do when their partners were in labour when I taught antenatal classes! H is for helpers. This is another word for my contributors, but I already had two things under C so putting them here instead. Over the course of writing the book, I had input from nearly 80 people (men and women, all expat partners or former expat partners) with their tips, advice, views, stories and anecdotes. I couldn’t have written the book without them. Sometimes it was hard going trying to get information from them, but other times they were so generous with their advice. As time went on it became easier, as I got involved in more and more expat groups and forums. The last chapter I wrote was one on relationships and I was able to simply put up a request on this blog and was flooded with replies! So if you were one of those who helped – THANK YOU. I is for Idea. I had the original idea for the book when I was living in St Lucia and I realised how much harder it is to move and live overseas without the sort of help we were used to getting from our employers (the Foreign Office, the British High Commission etc). Nowadays, more and more people are being posted or going to live overseas and the support for so many of them just isn’t there. Whilst I don’t think for a minute that this book will solve all the problems, I hope it is at least a small step in the right direction. J is for juggling. Anyone who is a writer, unless they are already well established, will know this one. Writing is unlikely to pay the bills. It also doesn’t do the shopping, pick the children up from school or fold the washing. Yes it’s a fantastic, flexible, work-from-home job. But unless you are in a very lucky position, it’s not one that you are likely to be able to do all day, every day. I have juggled writing this book alongside training to be an antenatal teacher, teaching, working in two other part-time jobs, looking after two children and running a household. Let’s just say things got a lot easier once the girls were both at school full time. K is for Kindle. Because my audience was always going to be a global one, I knew I wanted a Kindle version of the book. It wasn’t difficult, I just paid the nice man at Lighthouse24 (see below) to format it for me and off I went. So far, sales of the Kindle version are out-ranking those of the paperback by about 2:1. It will be interesting to see if this continues. L is for is for Lighthouse24. Formatting was the absolute BANE of my life. This was probably the part of the whole process I hated the most . It just used the wrong side of my brain. Luckily I found the very nice Doug at Lighthouse24 to help me. Seriously, for the amount it costs me (ie not too much compared to the whole process!) it was money very well spent. It meant I was able to concentrate on the bits I can do (the writing, the marketing) while they sorted out preparing my manuscript for both paperback and ebook editions. M is for marketing. This is so important. It’s worth thinking about your maketing even before you start to write. Don’t think it’s something you can put off until you’ve finished the book. Although you do need to get the balance right – I am really glad I didn’t start this blog until towards the end of the book production process as I find it very time-consuming and distracting (mostly because I love it!). But you need somewhere to get your voice heard, you need to network and make links and find people who will review you and share you and talk about you. Marketing strategies will be different dependent on your genre – I have really plugged the social media route as I think that is the best way to reach my audience. But I also have articles going out in various magazines in the coming months, am currently waiting on a call from our local newspaper and am intent on writing guest posts and blogs as much as possible. I attended at Marketing Masterclass in London for how to market your self-published book, which I found useful. I would recommend something similar, or at least reading up on marketing as much as possible, if this isn’t something you know much about. You can’t just write a book, upload it to Amazon and then expect people to buy it if they don’t know it’s there…. N is for No-Going-Back. This is a very personal one for me, but once I had told people I was writing the book, pride stopped me from giving up. I hate failing at anything and once I started, I knew I had to finish. P is for proof-reader. Another very important part of the publishing process. It’s tempting to skip the proof-reader, but so many independently-published books these days are rushed out, it doesn’t give self-publishing a good name. Make it as professional as you can. I used Charlotte Gledson, who was efficient, friendly and encouraging. Q is for….what is Q for? It could be for quiet as that’s always handy when you need to write. Find somewhere that is your writing place, a desk, room, corner – somewhere that is just for you and your writing. Or it could be for questions, which I certainly asked a lot of. S is for submissions. In the early part of this book’s life (early first-stage of labour), I did try submitting it to a few publishers. Needless to say I didn’t get anywhere. I did get some lovely responses, which I did find encouraging. But this book was never going to be commercial enough for traditional publishers. And to be honest once I had been on my marketing course, I realised I would still probably be doing most of the work and getting less of the profit if I was traditionally-published. I knew that self-publishing was the right route for me. S is also for Survey Monkey, which is a great tool for getting answers to your questions. I found people like to respond far more to surveys than they do to straight-forward questions. I don’t know why! Finally, S is for Sales Ranking. A fascinating tool within the Amazon author pages, you can find out exactly how your book is doing compared to all the other books on Amazon. At one point last night I was selling at number 2,103 in the UK (out of more than 6,000,000 books)! You can also find out how you are doing within your section. Given that I am still in totally the wrong section on Amazon.co.uk it’s pretty interesting that I am number 3 in the Digital Photography – Intermediate and Advanced section (although only number 5 in the beginners section). T is for The End. It was hard, really hard, finally deciding I was done. I could have kept writing, adding and fiddling for ever. To be honest, there was so much more I could have put in. But I had to stop somewhere. At some point I may do a second edition if I think there is enough new material to justify it. Every day I read more expat blogs, articles and posts and think – yes, I should have included that. It’s very frustrating. U is for underestimation – of both time and costs. In particular, I have found the preparation of the manuscript from finishing the first draft to have taken a lot more time than I expected. Maybe because it was the first time I have done this – but don’t set your heart on publishing on a certain day or even in a certain month. Best to keep it vague – right up until the last moment! Costs, too, will almost undoubtedly be higher than you first anticipated. Set a price and double it, then be grateful if you come in under your estimation…. V is for validation. It was very important for me to have some positive feedback before I published. Luckily I got this from my editor, who told me he loved it. But now I am waiting for validation from people who either don’t know me or haven’t been paid by me. It’s far more important to me that people like what I write than that I get paid for what I write…. W is for WordPress! This blog has been fantastic. I really love the people I have met through blogging here, you feel like my buddies. I was “out there” a bit this week in the unknown territory of social media and I really wanted to be back here on my blog. It feels very supportive. X is for eXcitement! There has been some – although there is also a bit of an anticlimaX after publication. It’s definitely a marathon and not a sprint! Y is for YES I am done can I have a holiday now…..
Wow sorry that was a lot longer than I thought it would be. Anyone who has read to the end deserves a medal! But if you are a writer and in particular if you have independently published, I would love to know if you have anything to add to my mega-list.